Veterans are more than just the sum of their military careers – we are also a very diverse group of individuals who bring the same dedication to our chosen professions as we did while serving our country. 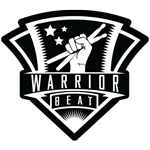 Warrior Beat is a veteran owned 501 c 3 non-profit filled with experts from all reaches of media creation and marketing; video and audio production, marketing strategies, graphic design and social media. If you, or your company, needs any of these services and you want to show your support to the military and veteran communities, please contact us so we can chat about how we can help elevate your business.